In my blog I've been showing you how easily you can import excel files. 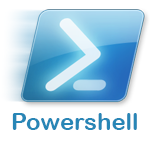 Of course, not everyone works with PowerShell. Some might rather work with a language where excel is less easy or JSON would be a better fit. And everyone probably has a windows machine running somewhere, right ? Well, with this script, you can convert your "simple" excel files to JSON. Once you have your JSON-file, the sky should be the limit. To read the excel file, you will need the PSExcel module. This is meant for simple excel files. Single Table of data in each worksheet.